Owners of 2016 and 2017 Chrysler 200 have been calling us about various recurring problems with their vehicles such as transmission problems, sudden lunges, and axle vibrations at low speeds, to name a few. 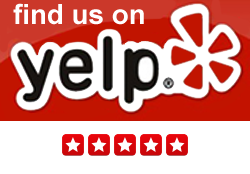 Regardless of make and model, no vehicle has come off of the assembly line absolutely free of defects. These defects can range anywhere from the very minor and easily resolved problems to defects that warrant the car being classified as a “lemon.” Not all bad cars qualify as lemons, so it is important to know how and when California’s Lemon Law applies to your particular vehicle and situation. The defect substantially impairs your use, value, or safety. The substantial impairment requirement means that your vehicle’s defect needs to be serious enough that it severely impacted your use, value, or safety. If you are putting more than 20,000 miles on your vehicle per year, this makes it extremely difficult to prove that your use, value, or safety have been substantially impaired. 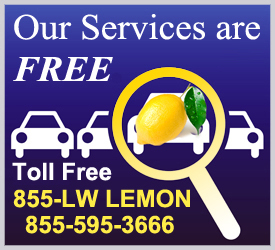 The best way to know for sure whether or not your car is a lemon is to give us a call to discuss your situation. In regards to the Chrysler 200, the one thing we know for sure is that there will not be any problems with the 2018 model. Model year 2017 marked the end of production for the Chrysler 200; it road off into the sunset. Debbie and her team were great! I had a disastrous Ford Fiesta that spent almost half a year in the dealership's repair center. Every time I would take it in they would give me a story about how I am imagining things and my car was fine. It turned out it was NOT fine and I had been driving around other people's children in a dangerous vehicle. I called Debbie and she took my case and got me every penny I paid for that car back. Registration fees, all my payments, everything. Ford was helpful in the end and I never felt uncomfortable when I had to deal with them--like i thought I would--since I was suing them. Debbie was professional and nonthreatening and I think that is why I was treated so well and compensated for the full cost of that car.